I plan to operate in this event from home, starting on Saturday evening due to a family commitment that afternoon. 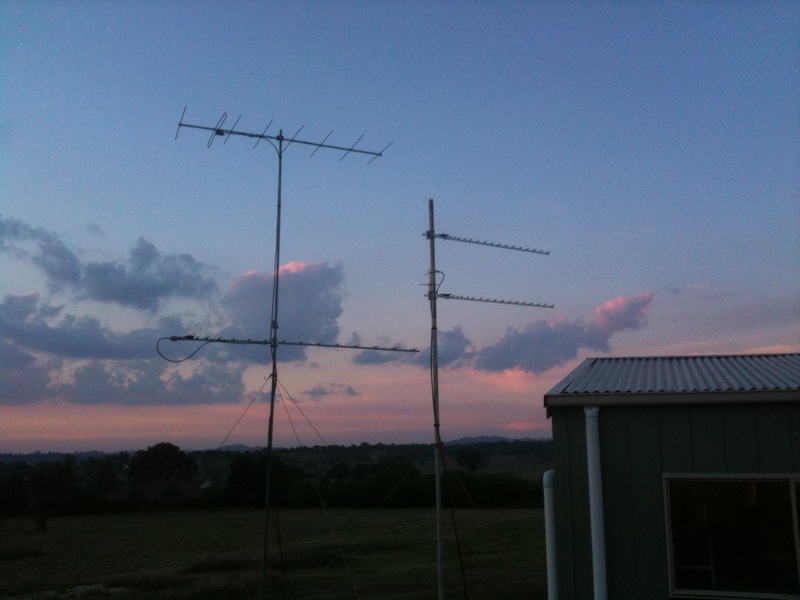 I will operate on 144, 432 and 1296 MHz bands only, unless I am inspired to erect more antennas. Post contest note: I made 40 contacts in the few hours I was able to operate on 144, 432 and 1296. Only a couple of contacts on 1296 but one was to VK2BPK a club station operating from a hill just north of Grenfell. I think that’s the site of the Grenfell 2m repeater. 133km from my location at Yass. In completing the log and looking at the scoring I noted that the scoring for home stations does not appear to give any incentive for home stations to make contacts with the more distant field stations. The 2 points I get for working a local station on 2m is the same as I earn for a 505 km contact with VK3UHF near Geelong, a much more difficult contact. The purpose of increased points for more difficult contacts is to encourage people to improve their stations and in this kind of contest it encourages home stations to make contacts with distant field stations. There is a full table of scores earned by field stations for different distances. However much the field station may wish to make long distance, difficult contacts, the home stations have no incentive other than their own interest in such contacts. An odd aspect of the rules.